Includes four different synthetic urine samples – normal, high glucose, high albumin and high lead – a range of samples you won’t find among healthy teenagers. With the test strips, reagents and other included materials, students can perform five different tests. 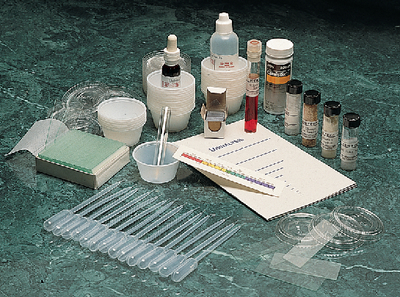 An additional test for sediment can be done with the addition of a centrifuge. The only other required items are 15 test tubes, racks and holders respectively; and one Bunsen burner. Instructions included. For six student groups.